Sicily is an island steeped in thousands of years’ worth of intriguing history. Thanks to its outpost off the south-west coast of Italy, it’s had a near-continuous ebb and flow of settlers – from North Africans and Romans to Ancient Greeks and Normans. Everything from the food to the architecture is a cultural mash. Fans of classical history can walk through the Valley of the Temples or admire the pristine Greco-Roman amphitheatre above Taormina. Meanwhile, the beautiful south east boasts baroque towns that cling to cliffs and Syracuse, which is home to Ortygia – the Ancient Greek city centre. Taormina cascades down the mountainside on Sicily’s eastern coast and is the island’s most popular summer destination. Corso Umberto runs through its centre, lined with lively restaurants and boutique stores; the ancient Greek Amphitheatre sits boasts fantastic views over the bay with Mount Etna in the background; and Isola Bella offers picture-perfect scenes of the Mediterranean. The South East of Sicily is home to some of its prettiest towns. Winding mountain roads give way to clusters of baroque buildings perched on cliffs, broken up by authentic countryside with welcoming agriturismi and family-run restaurants. 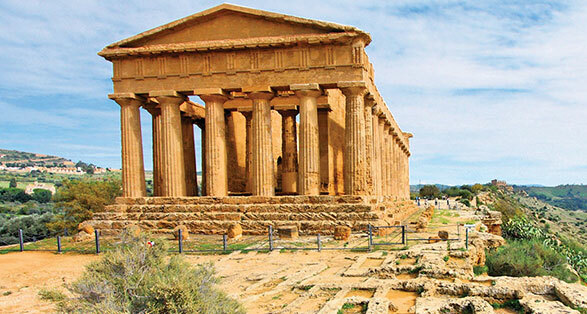 To see more of this fascinating island, take a drive towards the west and back in time to ancient Greece, with a visit to the Valley of the Temples at Agrigento and the Temple at Segesta, standing majestically on a ridge overlooking the sea. This unique volcanic archipelago of seven islands sits just off the north east coast of Sicily and offers breathtaking scenery, plenty of activities and a place to get away from the crowds. This captivating town has a rich history, vibrant atmosphere and one of Sicily’s finest beaches. Postcard worthy streets wind past little restaurants, bakeries and pretty churches. 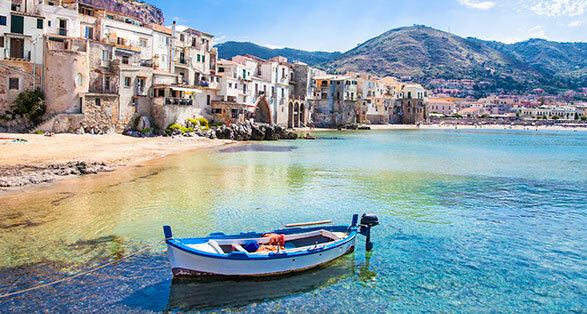 Cefalù’s masterpiece is its Duomo, which proudly sits in the town’s highest piazza. Sicily is famous for it’s street food and there are plenty of delicacies to try as you make you’re way around the island – try arancini (deep-fried rice balls filled with mozzarella and ragù), pasta alla Norma (macaroni pasta with aubergines, tomatoes and grated ricotta), cannoli (an iconic Sicilian pastry of tube-shaped shells filled with sweet ricotta), caponata (a vegetarian feast of aubergines, tomatoes and capers) and pistachios, which grow on the slopes of Mount Etna. One of the most famous historical sites in Sicily, the Valley of the Temples showcase ancient Greek architecture with a series of well-preserved temples and monuments. The imposing silhouette of Europe’s most active volcano dominates the skyline of Eastern Sicily and often puts on displays of lava, which can be enjoyed from the safety of a terrace in Taormina whilst enjoying an evening aperitivo. However, we’d recommend getting up close on a guided excursion where you can ascend to the summit by vehicle and foot and be rewarded with stunning views of Sicily’s coastline. For those who have time, a visit to the Aeolian Islands is a must-do. 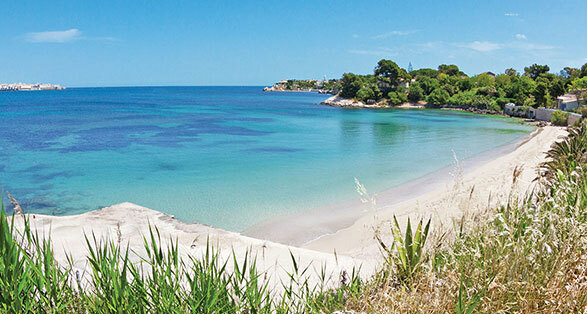 These seven islands feel a world away from Sicily, yet can be reached in under an hour by ferry. Head to Vulcano for the therapeutic mud baths, Lipari for the bustling harbour and seafood restaurants or Salina for the green mountain landscapes.